This time the team look at the voice actors for the game and also show off some of their characters in action, check it out and enjoy the new behind the scenes look at Fable III. 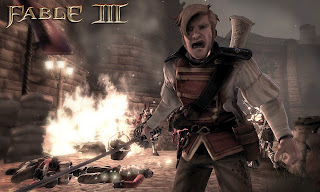 "Video Diary 3 : The Fable III Cast; Simon Pegg, John Cleese, and Academy Award winner Sir Ben Kingsley headline this October’s revolutionary action-adventure experience." 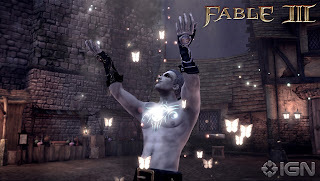 Another awesome batch of videos showing off some of the features of Fable III. I love the way marriage is implemented and the actual combat and world in itself look fantastic! 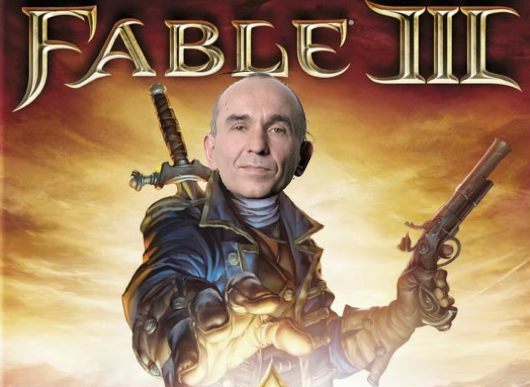 So there are even more screenshots pouring out onto the internet as we get closer to the release of Fable III. Even with the recent release of Halo: Reach the gaming world is still completely obsessed with Fable III and what its going to bring to the table. Check them out below and let me know what you think of them. The clothing looks pretty damn fantastic and the co-op is also shown off in these screenshots, as well as a close up of the Guards you will be cutting in half. My favourite has to be the one heading this post, simply amazing. Love them and absorb them...Fable III is tantalisingly close. ...and Fable III is the catalyst for this change. 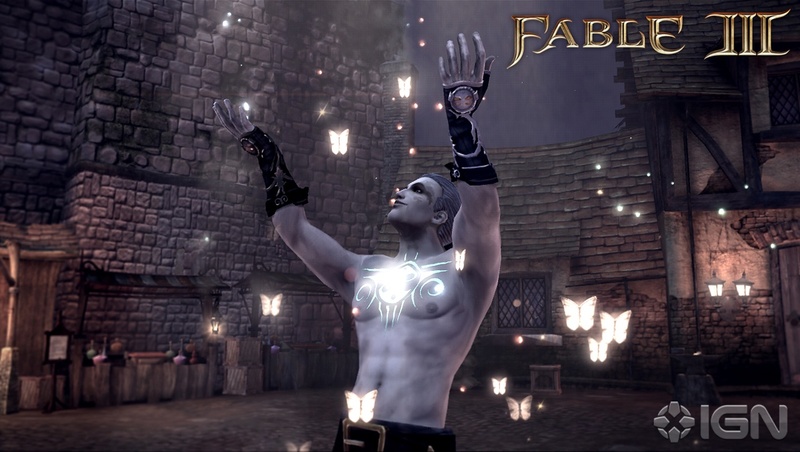 In this recent interview we get to see another interview with Josh Atkin about Fable III. But, he also goes into the awesomness which is Kinect and how this is going to effect Fable III in the future. A pretty damn good interview there, very cool. Glad to see that there are so many people loving the game, and getting this excited! 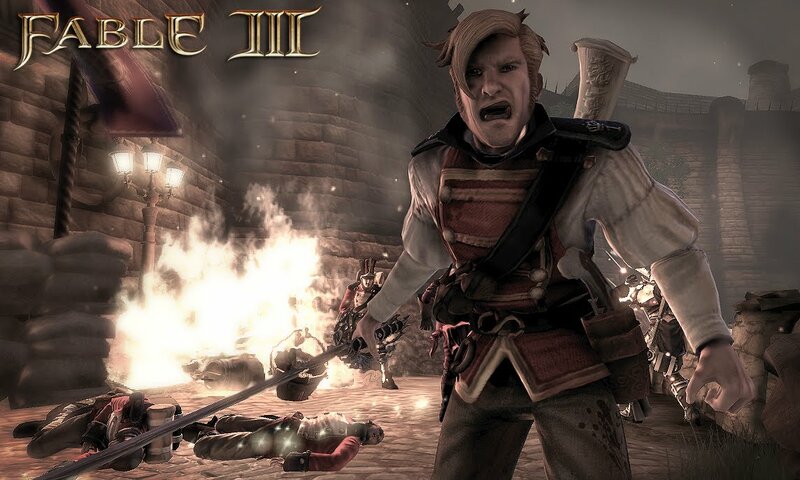 "The action in FABLE: THE BALVERINE ORDER takes place between Fable II and Fable III. The days of magic and adventure are fading away, giving way to the age of industry and science. As the aged last Hero sits upon the throne of Albion, two friends—the privileged Thomas and his loyal servant, John—set out for the East in search of a legendary beast: the vicious, rarely-seen balverine. But their desire for adventure may be their ultimate undoing—because their quarry has just found them." Should be interesting to get into the mind set of the people of Albion between the time of Fable II & III and also to see how the magical world is being effected by the growth of industry. If I get my hands on it before released will give you guys a good review of it. 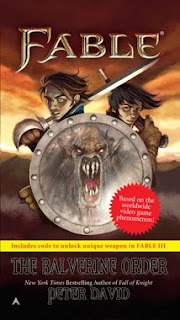 Check out the link above for the full Lionhead run down on the book. Big spoiler warning here because the video below showcases a full chunk of the beginning of the game. Still pretty awesome though, but stay away from Logan...he is ill tempered today. This time with added balverines! Not only do we get to see a fantastic finisher from the hero, but more spells in action, as well as having a great set of little sneak peeks at the escape from Albion portion of the game! The physics engine looks fantastic at the moment! Enjoy! And I have a special post as my next one...if all things go according to plan! ...has never been so awesome! This is just what I wanted when I was talking about Fable III a while back on the forum, long mountain winding roads...fantastic. Anarchyyfox, one of the users of the Fable III forum over at Lionhead.com has managed to get a hands-on with the game at PAX this weekend, and like a cunning and sly fox has presented his findings too us for a 'gamers view' on the game as it stands. It's a damn good little look at the game and has some interesting points within it. He even got to sit down with Atkins and get walked through the game! Check it out in the link above and enjoy, and don't forget to join in the discussion there as well so you can talk about what he found out. If Lionhead are up for helping ol' Brennon the Bard get his hands on the game then you know where to get me ;) Would love to get a beer goggle look at the game! Yes Ben Finn, its time for some links and some interviews. So without further ado here they are! Lots more juicy and interesting material to digest! Not been long, so here is another batch of screenshots from this coming weekend. With a plethora of gaming sites getting their hands on the newest build and playing through it, Lionhead have seen to it that we get some more screenshots as well! Below are a selection of the fantastic screens! Not only do we have some more of Ben Finn, but another who could be Paige as well, something let slip, or rather released by some of the Dev's in an interview.